Join us in prayer and share God's love with people living with disabilities in the world’s poorest communities. 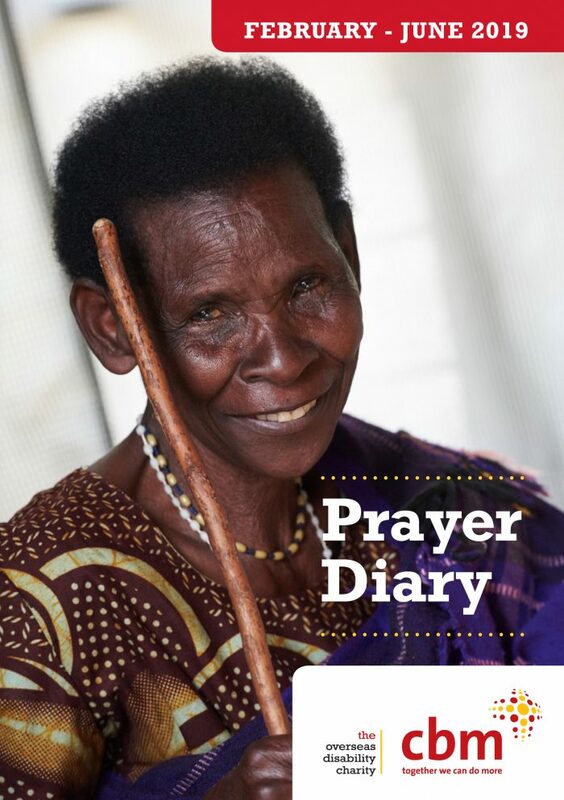 Download our Prayer Diary for February-June 2019 to join us, and thousands of other people around the world, in prayer today. You can also order a free copy of our Prayer Diary by filling in the form here. Pray with us daily for the needs of the poorest people with disabilities, and for CBM staff and experts who serve in some of the hardest places in the world. Each week, the CBM UK staff team meets to pray for our world and remember Jesus’ teaching. If you would like us to pray for anything that is happening in your life or in the lives of those you love, please get in touch.